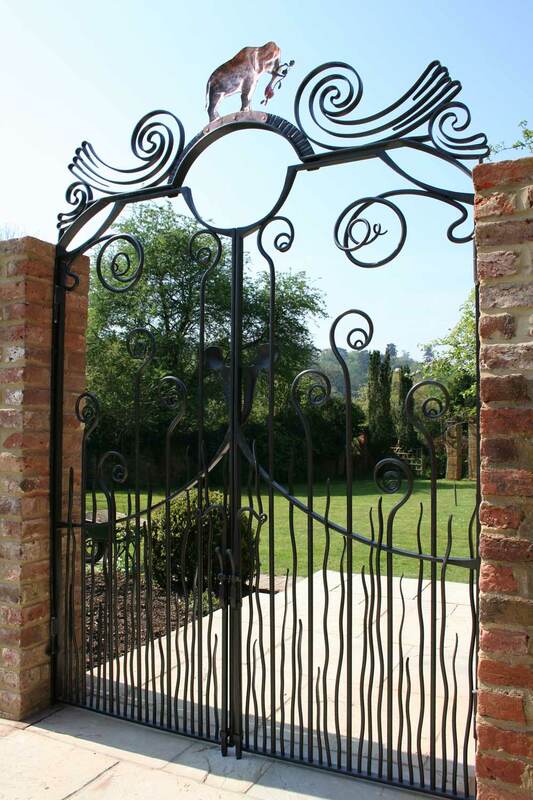 In 2011 we had an enquiry from one of the top ear specialists in the country requesting a garden gate to secure a wall garden. The client wanted us to incorporate different parts of the ear in the design of the gates, this was a great challenge and the client was delighted with the end result. Located in the Sands near Farnham in Surrey. Designed and made by Andy Quirk and Graham Hart.